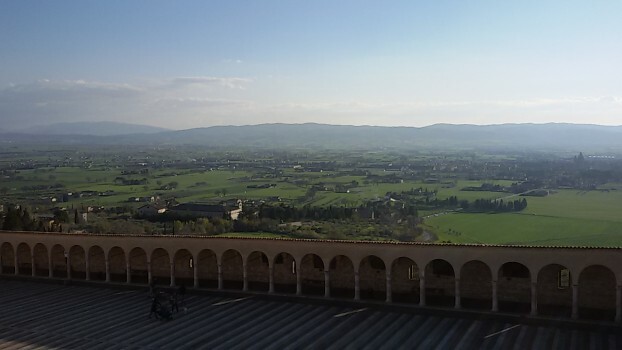 A few months ago a consecrated woman whom I’d served as an auxiliary chaplain while living and working in Rhode Island contacted me by e-mail and asked me to come with her pilgrimage group to Assisi as chaplain for a day. The group was from Houston, TX, and it was the last day of their pilgrimage, March 18, nestled between St. Patrick’s Day and the Solemnity of St. Joseph. 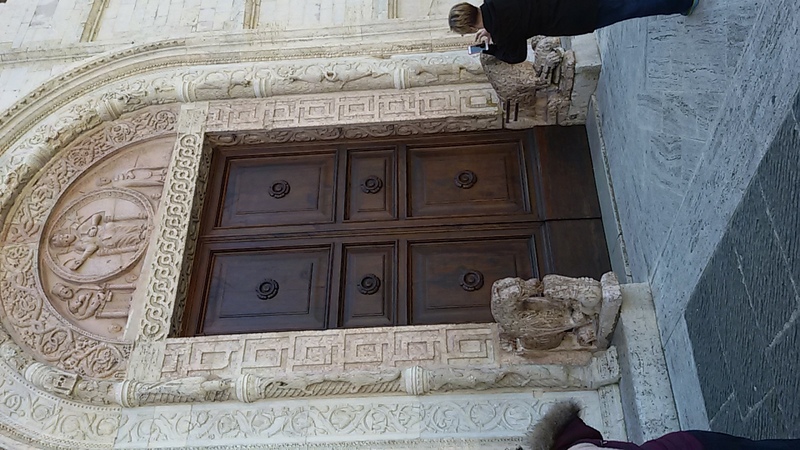 It would be my second time in Assisi, and the first time I hadn’t had much time to see all the sights, so not only was I happy to help, but happy to visit Assisi again. We would be traveling to Assisi by train, so the day before the trip I checked the train times and the app on my phone included the seemingly innocuous note on each train time: “Strike?” If you want to know the word that either chills the blood of any Italian or at least makes them roll their eyes in frustration, it is sciopero (“strike”). The only exception are the transit workers who are on strike and the children (school gets cancelled). When public transit is involved there are at least five unions in play that I managed to identify. The sciopero is announced in advance; for the trains it would be from 9PM on the 17th to 9PM on the 18th, while the buses and the subway in Rome would be from 8:30AM to 12:30AM (they wanted to strike for 24 hours, but the Prefect of Rome apparently had the authority to issue an ordinance reducing it to four hours). There were also rumors that the taxis would also go on strike. The sciopero wouldn’t be for all public transit; the unions were required by law to provide basic services, basically enough to get you to work in the morning and back home in the evening with a lot of hassle. However, some trains between major cities were cancelled outright. 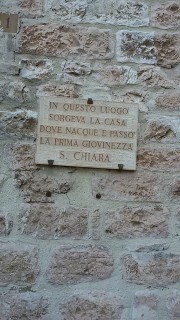 I attempted in vain to confirm whether the Assisi train was going to be cancelled as well. The group was out in the city when I found out, so they were blissfully ignorant of the potential transit doom looming over them. I managed to reach them by cell and warn them that the train might be cancelled and I would be in touch if I got any more information. If we couldn’t confirm it, we’d go to Termini Train Station and hope for the best. The worst case would be spending another day walking around Rome, and I know the city pretty well and could show them some places off the beaten path. 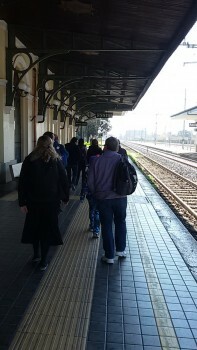 In the end there was no way to confirm the train, so early Friday morning I left on the legally mandated strike-proof train to Termini Station. 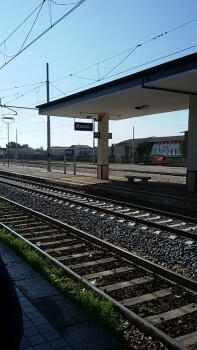 On the train to Termini Station, even before the day was confirmed, I experienced a great peace, because I knew that God had planned for it to work out one way or another: if Assisi was cancelled, I could show them things in Rome. It reminded me of something I learned when I organized pilgrimages for college students as a brother, what I called the Providence train: amidst logistical challenges and seemingly impossible situations, God is working hiddenly and if he wants something, it will happen, no matter how impossible it seems. The pilgrimages were such a cluster bomb of Godincidences at key moments that in my frequent train rides in the city during them I realized that Providence was very similar: God knew the schedule, the track, and the destination, all I had to do was find and get on the train at the correct time. The consecrated women organized the pilgrimage confided to me that when they heard of the possible cancellation they had no anxiety whatsoever: their pilgrimage had been a series of Godincidences already and they knew things would work out. I have to admit in my old age I was a little more anxious about the whole thing. Thankfully the Assisi train was not cancelled, although we had a brief scare when the person checking tickets on the train (well underway) warned us that the train crew may decide to not go as far as Assisi due to the strike. It was a wonderful opportunity to convert angst into hope; the train continued to its final destination and we arrived in Assisi right on time. Our Lord didn’t want to disappoint a group of pilgrims on their last day. We were blessed by a clear crisp day just before the end of winter. Assisi is a beautiful town; you can hardly take two steps without being able to take a beautiful photo from practically any angle. More beautiful are the stories of St. Francis, St. Clare, and all the Franciscans and Poor Clares who had answered the Lord’s call to Francis to help rebuild His Church. We started at the Basilica of Santa Maria degli Angeli (St. Mary of the Angels). Inside this basilica a tiny church is preserved, the Porziuncola, where Francis spent time praying at the beginning of his spiritual conversion; it’s there that the Franciscan movement started. The entrance to this little church within the Basilica was also aptly the Door of Mercy for the Year of Mercy underway; the pilgrims with me had crossed eight or nine Doors of Mercy during their pilgrimage. After visiting Santa Maria degli Angeli we took a bus up the hill to the older part of Assisi, praying that the bus was not on strike. Thankfully it wasn’t and, while we were waiting, an elderly Franciscan nun greeted us who was also waiting for the bus. Our first stop was the Cathedral of Saint Rufinus, the first bishop of Assisi who was martyred in the third century A.D. Near the cathedral was the spot where St. Clare was born and raised. 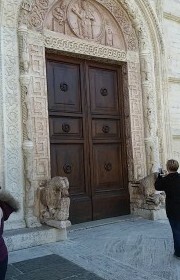 The main entrance to the cathedral was flanked by two majestic stone lions. 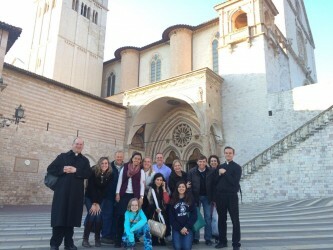 After visiting the Cathedral we made our way to the Basilica of St. Clare, where she is buried. In a side chapel is also the Crucifix that was originally in the Church of St. Damian. 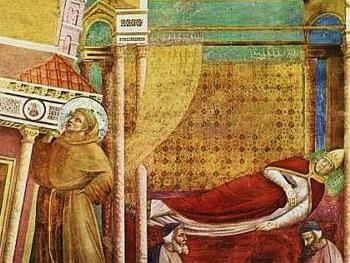 One day when St. Francis was praying before it the Crucifix spoke to him told him to help rebuild the Church. 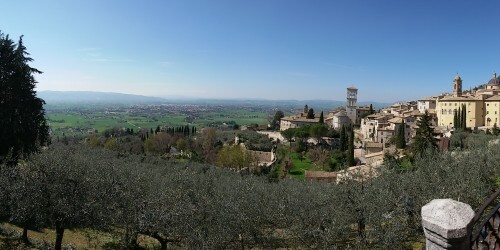 From the plaza of the Basilica there were wonderful panoramas of the Umbrian countryside. 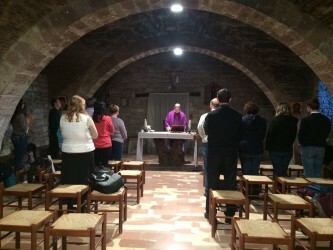 After lunch we concluded our visit with Mass at the Capella della Pace on the grounds of the Basilica of St. Francis. After Mass we saw the frescoes rendered by Giotto in the upper basilica, visited the tomb of St. Francis, and passed through the second Door of Mercy. The fresco that struck me the most was one of a dream the Pope had in Francis’ time seeing the little friar of Assisi sustaining the Church. 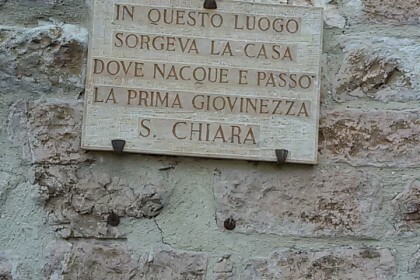 St. Francis had responded generously to the Lord’s invitation to help rebuild His Church, and through the Franciscan testimony of radical Gospel poverty, simplicity, and joy they continue to sustain the Church, even to the degree that our current Holy Father chose to take the name of Francis, a historical first. 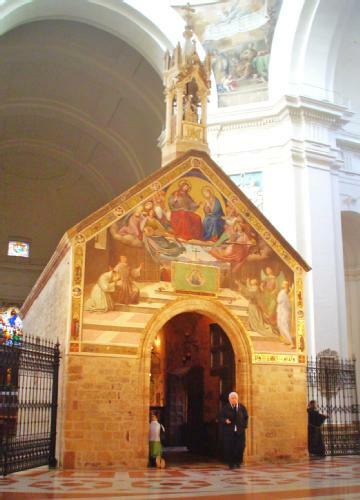 The poverello of Assisi has made a lasting positive impact on the Church. After a wonderful day I didn’t worry too much about the return train being on strike, and we returned to Rome with no problems. In my homily I told the pilgrims to remember that the graces of a pilgrimage are like time-release capsules: they keep giving us new insights in good and bad moments, so it is important to jot them down and not forget them. At lunch everyone was sharing their spiritual experiences on the pilgrimage and it was clear that our pilgrimage would be a source of grace for many years to come.